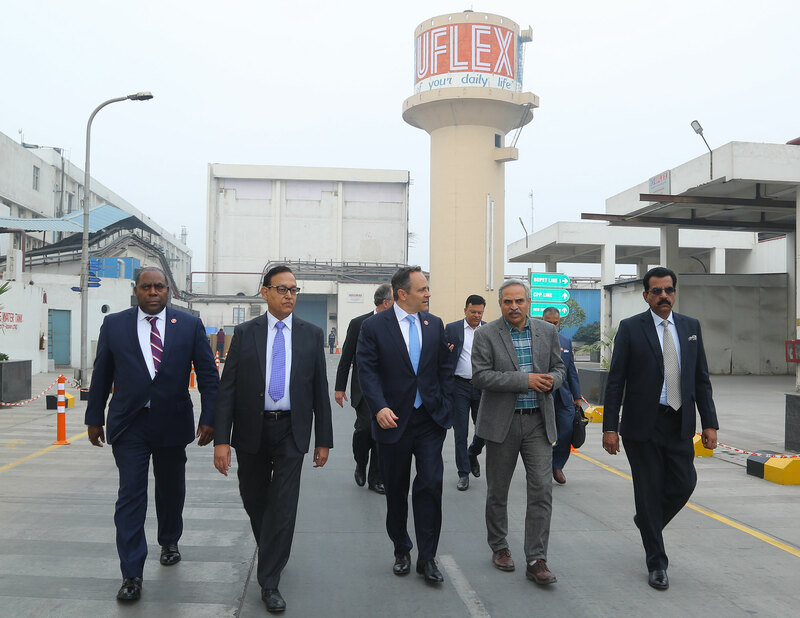 Governor of Kentucky State in USA, Matt Bevin, paid a visit to the Noida Plant of Indian flexible packaging giant Uflex Ltd which is the home to FlexFilms’ plant situated in Elizabeth town, Kentucky. 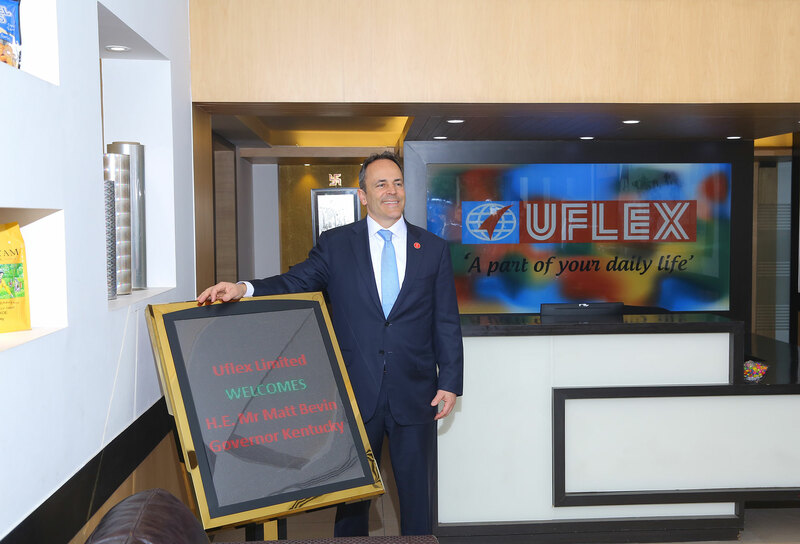 Welcomed by the senior leadership of the company, Governor Bevin was given an introduction about Uflex and its businesses following which he enjoyed a tour of the Film Business plant. Governor Bevin interacted with the team and gained insights into the manufacturing operations and technology. Bevin is leading an economic development delegation to India to participate inrecognized business and investment events like Vibrant Gujarat Global Summit 2019 and Pravasi Bharatiya Divas to strengthen Indo-US government ties. 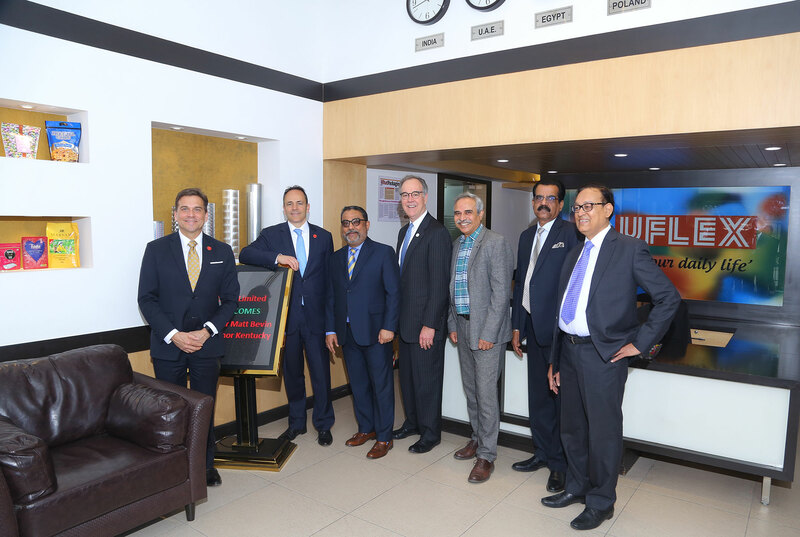 FlexFilms which is the global film manufacturing arm of Uflex Limited has state-of-the-art film manufacturing facilities in all the four major continents: Asia, Europe, North America and Africa. 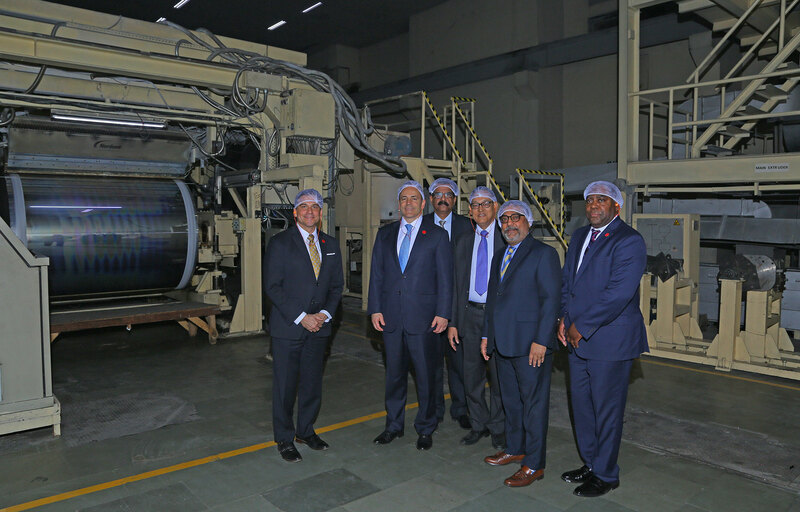 Commissioned in 2013, the BOPET film line of FlexFilms in Kentucky has a capacity of 30,000 TPA and is one of the largest polymeric film manufacturing lines in the world and by far the biggest in USA. This plant also houses cutting-edge metallizerthat produces over 10,800 TPA of high barrier metallized films.